Angina, the medical term used to describe chest pain, occurs when not enough oxygen gets to the heart muscle, resulting in a feeling of discomfort, squeezing or pressure in the chest. Angina is also a warning sign of potential heart disease; a condition that causes the build-up of plaque in the arteries and prevents proper blood flow. Angina typically occurs during physical activity, so it is important to stop what you’re doing and take a break. Angina can also occur due to exposure in colder environments, as well as after eating large meals. Along with chest pain, other symptoms of angina include shortness of breath, nausea and vomiting, and even abdominal pain. All of these are red flags that should not be ignored. If left untreated, you only put yourself at an increased risk of heart attack. It is, however, also important to also understand the difference between angina and heart attacks. While a heart attack can cause damage to the muscles of the heart, angina does not. Instead, it is a precursor to the potential of suffering a heart attack at some point in your life. 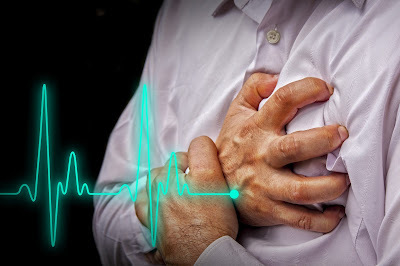 Heart attacks and angina can have similar symptoms – including chest pain, pain or discomfort that spreads to different areas of the body such as the jaw, arms, back or shoulders, as well as dizziness and weakness. The one way you can tell the difference between angina and a heart attack, however, is the duration. An angina attack will typically last for anywhere from 3 to 5 minutes, while a heart attack will typically last for more than 30 minutes. How Do You Prevent Angina and Heart Attacks? The best way to prevent angina and heart attacks is by living a healthy lifestyle. Dr. Ali Ghahary, a family doctor in Vancouver, recommends eating healthy meals (lots of fruits, vegetables, and high-fibre foods) and getting regular exercise as part of your daily routine – this can be low-impact exercise such as walking, jogging, swimming, or even yoga. You should also avoid smoking and limit your alcohol consumption. Dr. Ali Ghahary is happy to answer any questions and help patients interested in making healthy changes to their lifestyle. You can find Dr. Ali Ghahary’s walk-in schedule by visiting http://vancouverphysician.net.